Everyone else flocks to warm rock, ready for T-shirt weather, but you're still chasing the remnants of wintertime in the mountains. Patagonia's Down Sweater's featherweight, superbly compressible warmth is for you. The 100% polyester ripstop shell on this down jacket does more than look sharp; it's tear-resistant, snow shedding and windproof. Details include 800-fill-power 100% Traceable Down (European goose down that can be traced back to birds that were never force-fed, never live-plucked), stabilized with quilted-through construction, a contoured fit, a drawcord hem that tightens from inside the zippered handwarmer pockets and an interior chest pocket that doubles as a zippered stuffsack with a carabiner clip-in loop. Nylon-bound elastic cuffs seal in heat, and the DWR (durable water repellent) finish sheds moisture. 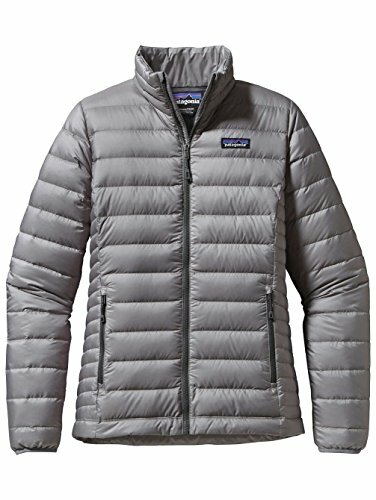 If you have any questions about this product by Patagonia, contact us by completing and submitting the form below. If you are looking for a specif part number, please include it with your message.